This Wednesday at the Tokyo Motor Show, Honda Motors will unveil its brand new hydrogen car: the FCV (not its real name likely). According to Forbes, the car can run 435 miles on a tank full of hydrogen, which is more than 100 miles than any of Tesla EV. Moreover, a full fill only takes 3 minutes which means you can be back on the road in no time – provided you can find a hydrogen filling station. 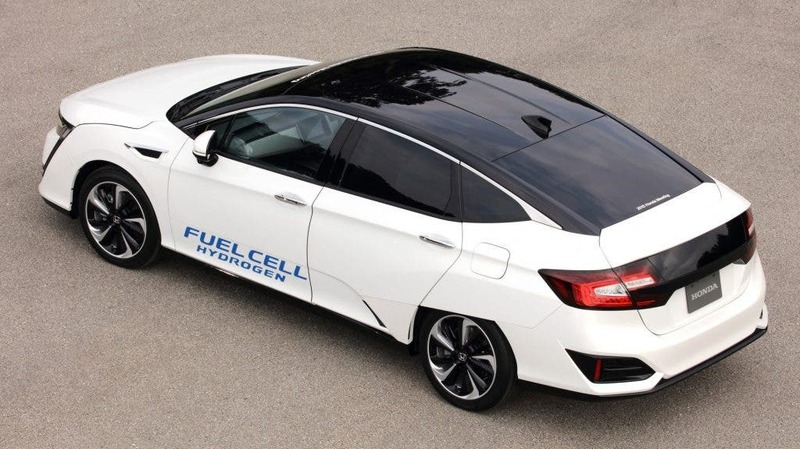 The biggest innovation, however, is Honda’s new fuel cell system which is 10 times cheaper than the one on the FCX Clarity and takes as much space a typical V-6 engine. Fuel cells convert hydrogen and oxygen (from the air) into electricity, with water vapors expelled at the tailpipe (the only byproduct). The process is about twice as efficient that burning gasoline in an internal combustion engine. If the hydrogen is sourced from renewable sources (electrolysis powered by solar panels, for instance), then a hydrogen car is 100% carbon emission free from a pump-to-wheel perspective. Hydrogen cars were thought of as an integral part of the blooming hydrogen economy, which was awarded billions in research during Bush Jr.’s administration. It never took off though and the hydrogen economy was shelved – a pipeline dream. That’s because of two main shortcomings: hydrogen is very expensive to store and make; from renewable sources at least. In recent years we’ve been seeing some great news, like cheap catalysts and smaller, more efficient fuel cells like the one used by Honda in its new car. It’s hard enough riding an electric car (and everyone has electric plugs at home to charge), let alone hydrogen cars. Who knows how to make hydrogen at home? Thought so. Right now, most hydrogen is made through methane reforming a process in which hot tubes heat the methane gas and steam in the presence of a catalyst to create pure hydrogen. This entails a lot of fossil fuel usage, and a significant carbon footprint. Acknowledging this, Honda is developing something called the Smart Hydrogen Station, which is basically a compact electrolysis machine which allows you to make hydrogen at home. Additionally, serving stations where you can fill up on hydrogen are installed throughout California. It still sounds like a lot of hassle. Maybe Honda has more to tell us once the car is unveiled at the motor show.